The artist website is up and running, with a lifetime of tweaks still to be worked out. I appreciate everyone that follows my photographic adventures capturing the wildlife (or lack thereof), with the curiosity of what will come next. Filling that wall space with a canvas, print or even metal images has never been easier. Bring that perfect natural healing feel of nature in your home or office. The “images” page is in timeline order with the newest picture being the first picture. The “Galleries” page is where the images are somewhat organized into groups. The “shop” pages are generally organized with the oldest picture first. I invite you to stop by and browse my images, customize and personalize some greeting cards that would be perfect for any occasion, buy a tote bags and help the environment, saving plastic bag usage, and they look amazing. Sport your iPhone or Galaxy phone with cases customized to fit your phone, making it easy to carry nature with you everywhere you go. My throw pillows and duvet covers is mostly my floral images (I am still working on removing the images that make no sense on pillow or cover. I mean who wants an insect with a thousand legs on their bed?) There will still be animals in these collections though. Please comment and share your favorite images as so I don’t take that photo from the collection, because not every image will survive. But most importantly, bring that treasured animal into your life. Wildlife and nature is healing. Visit My Massage Website to see if I am available for massage bodywork in your area. Blogging can be a difficult task while traveling, but I am trying to get better at the situation. Traveling across the country visiting the Grand Canyon National Park, capturing views from Navajo Point and Desert View. As I was wanting to do some hiking, the time that I arrived there was rain storms in the area. Flash floods are a major concern while hiking in the Grand Canyon especially during monsoon season, so I take heed in that decision. The Great Smoky Mountain National Park was a unique mountain experience. 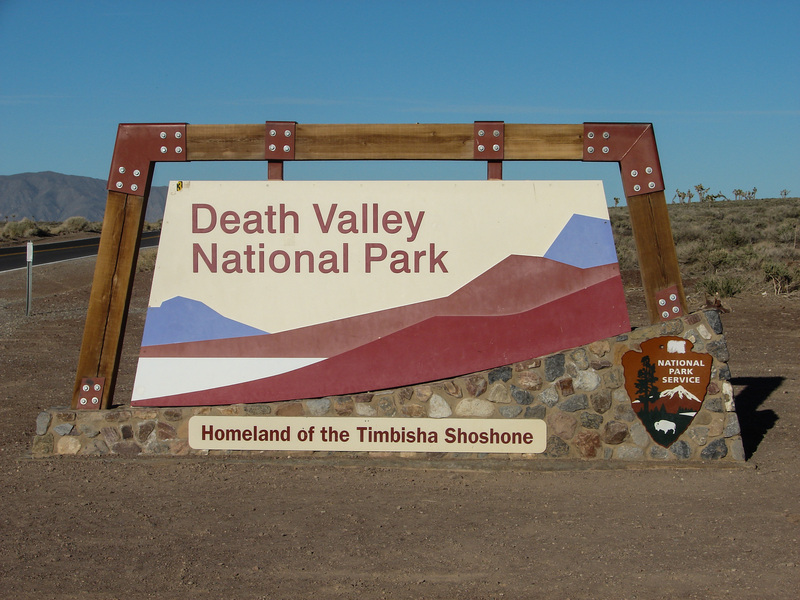 As there are no entrance fees into the park, you have to find one of the 4 visitor centers to make a donation to the park and obtain park maps. Beautiful mountain laurel and other plants blooming along the Appalachians. I did not get to see any bears which made me sad. The squirrels, and insects was a nice photo moment. I now find myself near the Everglades National Park and getting great reptile and tropical bird photos. With all the flowers being in bloom, my throw pillow and tote bag collection is looking better than ever. Winter is still crossing the country, the perfect time to visit this treacherous terrain. I arrive in mid March at Furnace Creek where the temperature was at 92° at sunset and 62° at sunrise. This is at 190 feet below sea level. (which made me wonder if it was high tide or low tide) As the daytime highs nears 100° experiencing summer in this desert valley can be a treat, knowing the rest of the country is bundle up weather. I first take Falls Canyon trail which is in the northeast part of the park. This trail is a slight inclined hike of about 4 miles up a drainage channel from Titus Canyon. Here I saw a desert holly in bloom for the first time. While there are many wildflowers in bloom along the entire park, they will be gone soon. As they will not be able to survive the high temperatures for long. The Mesquite Sand Dunes is another stop on my places to venture while in this desert valley. Here I see a blister beetle enduring the sandy conditions. I understand he secretes an oil that will cause the skin to blister so no handling this insect. As I was originally planning on spending 3 more nights camping in this national park, wind gave my tent a beating while camping in the Wildrose campground and came out with a broken leg. Therefore I was in need to get back into civilization to re-supply. So in Las Vegas for a week before venturing up into Yosemite, where the winter conditions will still be in existence. So there is no escaping the winter. A drifter is what life has had in plan for me since I was born. 2015 is the year that I am embracing the drift. With many people asking “where” I will be and “when” I thought I would actually try to plan out my next trip across the country. This time touring more of the National Park system. I am posting this schedule that if any of you (the reader) has been to any of these National Parks and recommend any specific trails that are a “must see”. Also if any of you (the reader) was in the area and wanted a hiking partner for the day I would enjoy the company. As recovery from the hip injury that happened last year, (which is going well) this is part of my therapy. While staying in Las Vegas, Nevada and San Luis Obispo, California I will be available to provide therapy to any of you that are in need of some recovery. These dates are subject to change please contact me if you would like to plan an adventure. Then it will be the jump across the continental divide, towards Alabama. I will work on the east coast National Park schedule and get that posted as soon as I can. I look forward to seeing you on the trails or on the massage table. It is that time of year when one comes to a close and we begin the next. Goodbye 2014, you hold lots of memories, some good, some bad. But through those experiences that 2014 gave to us, we are better prepared for 2015. Time for the new year resolutions! Every year we make resolutions, just to usually go a few days before we start breaking those promises to ourselves. Why? Is it our human nature to break down so easily? This past year was a year of traveling for me, driving across the country 3 times in the course of 2014 proved there are adventures to be had. I started out along the north entrance into Yellowstone National Park January-March. A winter wonderland for any extreme outdoorsman, experiencing temperatures as low as -28°F. Then making a run into California through the Redwoods and down the Pacific Coast. Then Proceeding to the Southwest Desert into Las Vegas before going back to Montana. A month later I need to do that trip again, just because work was not all that busy in Montana. While on this trip I get a phone call that one of my aunts is dying. A true tragedy in my family. Without the finances to cross I start making my across the country, working as I go. As I got the call that she had passed, I had to pull over and let out a few emotions. This litter critter helped me out a lot in that moment. And I make my way across the country to Alabama. After that point I had to find a way to finance my way back to traveling all the way down to Ft. Lauderdale and up the east coast into Vermont before heading back home to Montana. Just to return into Montana finding out that my housing was not as secure as I was lead to believe. A big slap in the face of life. I was then forced to continue this traveling through California and Nevada as this is where my biggest client base is located along with being licensed in the 3 states of Nevada, California and Montana, I needed to continue providing my services in these states. However I did dropped Montana off because of distance, and housing issues, and low client numbers. I circle down the California Coast and over to Las Vegas where I first started my business a few times. The second trip across the country was to work at Pennsic, which is a place in Pennsylvania. A place I love, with awesome people who attend that event. Two weeks of medieval living, should I say more? 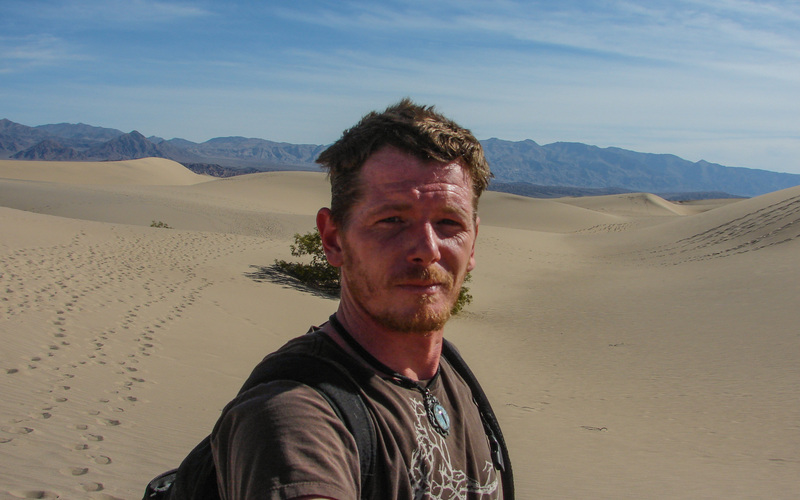 Then I have two-week to get to Black Rock City, NV where I will be spending another two weeks working. Which on Day 3 after arriving on this 14 day venture, I slip while coming out of the showers. I did what I know to do, ignore the pain, push through the pain, continuing to work through the pain because I did not come here and not bring my gift to this community. I did not realize until months later that my pelvis was fractured . With nowhere to go I continue to work while traveling through California and Nevada. The holidays are approaching and I failed to go home in 2013 so I began my third route across this great nation. In an effort to get into and through the north-east states before winter really sets in. I failed, sliding over frozen bridges, digging myself out of snow, getting to my clients no matter the risk. I begin the journey south from New York, as I get another phone call announcing the death of another family member, an uncle this time. Making my self back down into Alabama without haste, where I spend the month with my mother. Knowing that death is a guarantee for each of us, I stride to make every day as enjoyable as can be, in myself and in others continuing to push through the pain of what I now find out is a broken pelvis. Now being in Baton Rouge on New Years in route back towards Las Vegas and the California coast, I just know I cannot continue bringing the joy I find in life to the people I love with my pelvis being broken. There are just too many questions and not enough answers. But that was an 800 word recap of my year and the time for resolutions has now come, because the New Year is here. Mine is “Don’t give up”. Make every second count. I have always loved bringing the outdoors to you, previously I brought it through the energy of my work, now it seems like it can only be through photography. In this new year I will stride at building a place where you will have the options of placing any of my photos on a wall in your home. Christmas has many different meanings to a variety of cultures across the globe. Here in America the day is based around consumption. While there are many different views on what this day means, each view has its purpose. I like to look at things from a different perspective than the normal. This is a religious holiday, and I am not religious. This is a point in time and in history where the sun is rising from the horizon, giving is longer days. The past three days the earth has been at the end of the wobble on its axis. The rise of our sun in the heavens above. I am not trying to take your Christ out of your Christmas. I just look at the truth, I let you form your own opinions.